If you have forgotten your login details, you can reset your password from the login page. To make sure you are on the correct site, open your childcare centres direct URL. 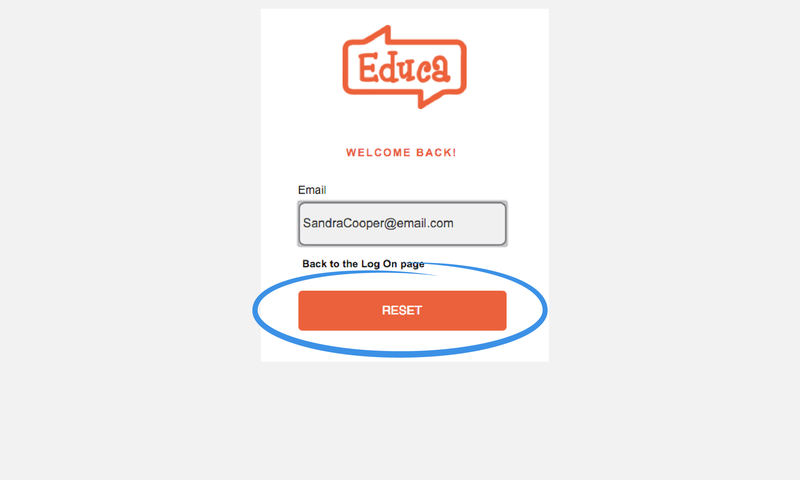 This can be done by using a previous Educa email link or if you have it bookmarked opening it from the bookmark. Success! 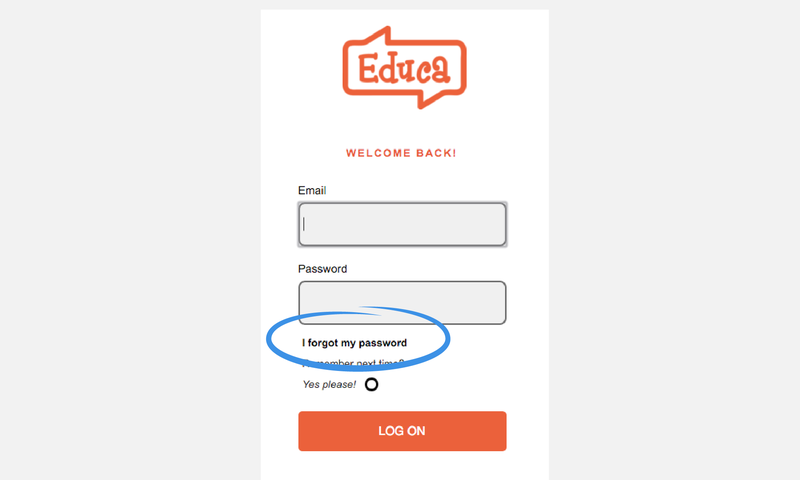 Educa will now send you an email with instructions on how to set up a new password. This can take up to 5 minutes to appear in your inbox. 4: Open the password reset email, and click the 'reset' link inside. This will open a page where you can choose your new password. Please note that for security reasons the link in your email will expire after 24 hours. If the link has expired you'll need to follow the above steps again. Double check that your email address is spelt correctly, and doesn't contain any spaces, or extra characters.